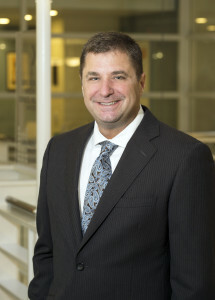 Haywood “Woody” Talcove is Chief Executive Officer, Government, LexisNexis Risk Solutions. In this capacity, he oversees strategic business activities concerning all customer operations, sales, marketing, communications, consulting, corporate development and ecosystem activities. He also serves as CEO for LexisNexis Special Services Inc. (LNSSI), a separate subsidiary. Talcove has transformed the LexisNexis Risk Solutions’ government business from location services to one focused on using identity to mitigate and stop fraud and help law enforcement catch criminals. His open-minded approach to problem-solving and listening to customers’ needs has enabled the company to create new markets with innovative technology solutions and consistently drive growth in revenue. A passionate advocate for children, he serves on the Board of the National Center for Missing and Exploited Children (NCMEC). He also serves on the University of Maine Board of Visitors. Talcove earned his bachelor’s and master’s degrees in public administration from the University of Maine.